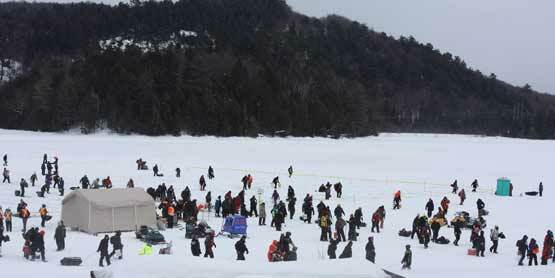 Elliot Lake’s Annual Ice Fishing Derby takes place on Horne Lake each February. Grand Prize is Half the Purse. Top Ten Prizes Guaranteed, please thousands in other prizes. Register at the Elliot Lake Welcome Centre and the Elliot Lake Trading Post. Or phone to register; credit cards accepted.